Here in a moist mountain meadow I find a little yellow flower with five petals surrounding many stamens. Five jagged-edged leaves spread like a palm at the end of their stalk (and the term for this leaf arrangement is, indeed, “palmate”). 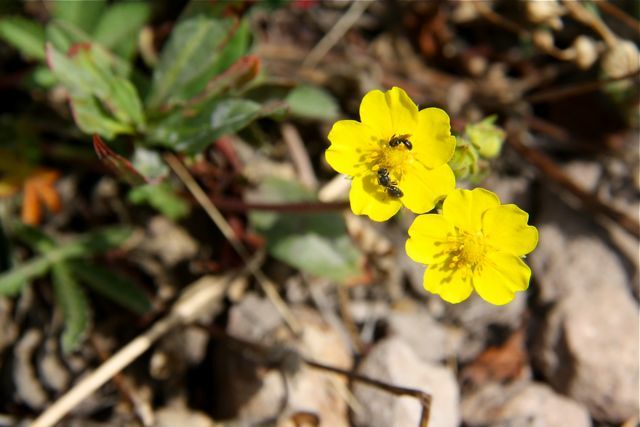 This is fivefinger cinquefoil, or Potentilla gracilis. The flower, plus the deeply creased, jagged leaves, are the signature of most Potentilla species. 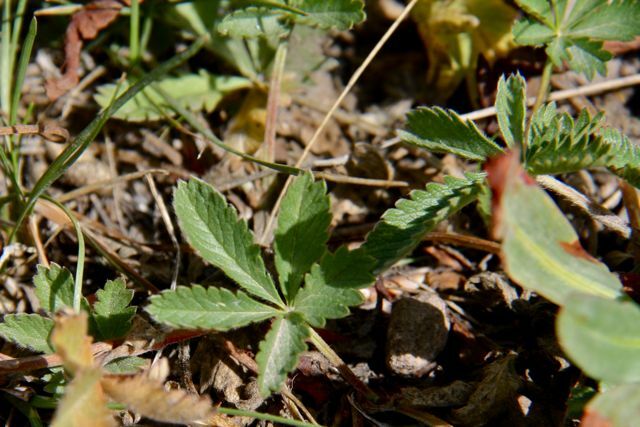 But unlike our lowland silverweed cinquefoil, which I wrote about a few months ago, the fivefinger cinquefoil can’t be found at sea level (though it does have quite a wide range, growing as low as 400 feet in elevation and up to nearly 12,000 feet). Look at that post, here, to see the similarities and differences between the leaves. It’s also called northwest cinquefoil and slender cinquefoil. Native American tribes used the roots medicinally (either pounded or as a poultice) to treat aches and pains.